It seems that President Donald Trump has determined that he owns at least one home too many. After all, he’s now splitting most of his time between a charming old mansion at 1600 Pennsylvania Ave. in Washington, DC, and a sprawling estate/resort/”winter White House” in Palm Beach, FL. (Where’s the love, Trump Tower?) 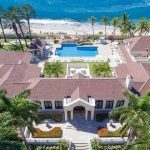 So he’s selling one of his more remote properties: Le Chateau des Palmiers, on the island of St. Martin in the Caribbean. 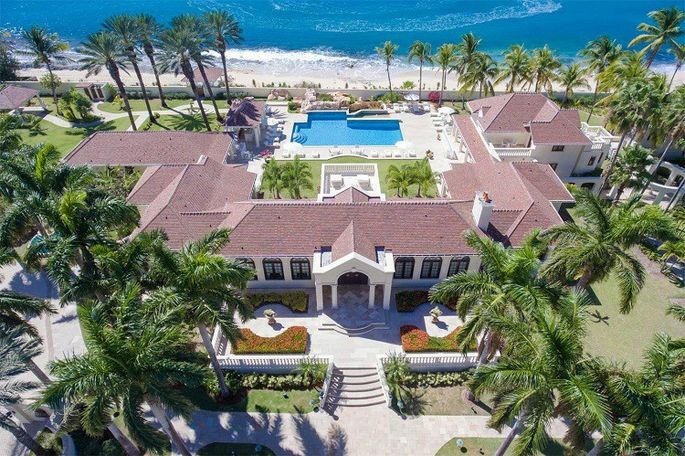 The commander in chief quietly listed this 4.8-acre beachfront home on Sotheby’s International Realty last month, according to the Washington Post. When he bought it for an undisclosed sum in 2013, he deemed the 11-bedroom, 12-bath estate “one of the greatest mansions in the world.” Although the home’s current list price is available only upon request, a person familiar with the listing revealed it is an eye-popping $28 million. Will the real estate magnate-turned-POTUS get his price? 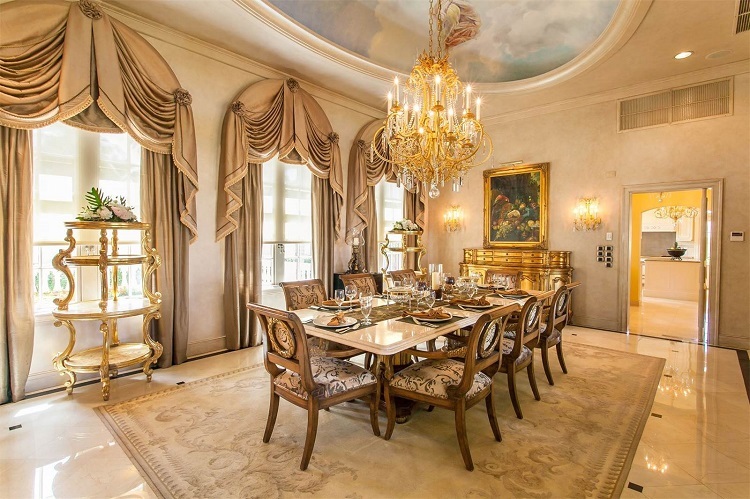 There’s no denying that Le Chateau des Palmiers is one gem of a property, complete with gold drapes and crystal chandeliers that fall perfectly in line with Trump’s aesthetic. The amenities are as luxe as expected: a heated pool, fitness center, tennis court, and covered outdoor bar and billiard area. There’s also a commercial catering kitchen—ideal for a wedding or other large event. 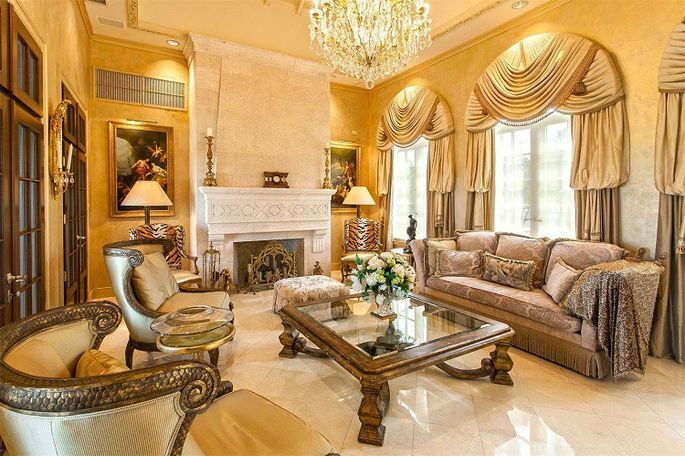 A luxe living room featuring gold curtains, a chandelier, and a pair of tiger-print armchairs. But even with all those amenities, some real estate agents believe the $28 million list price is on the high side for the area. 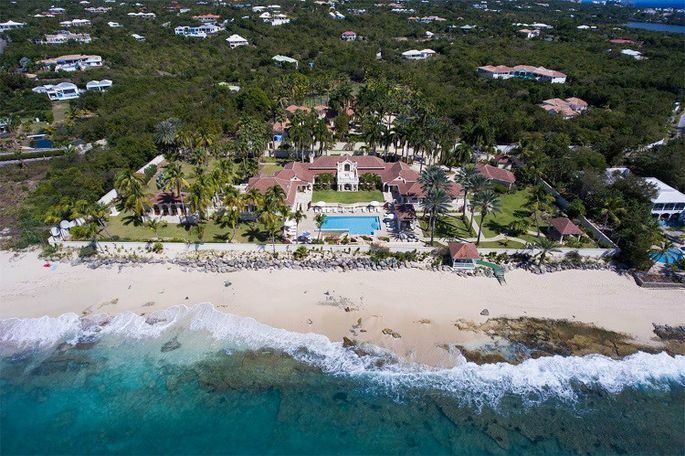 “There aren’t too many properties in St. Martin that are more than $15 to $20 million,” says Gerard Longo, principal of Mettle Property Group in New York. 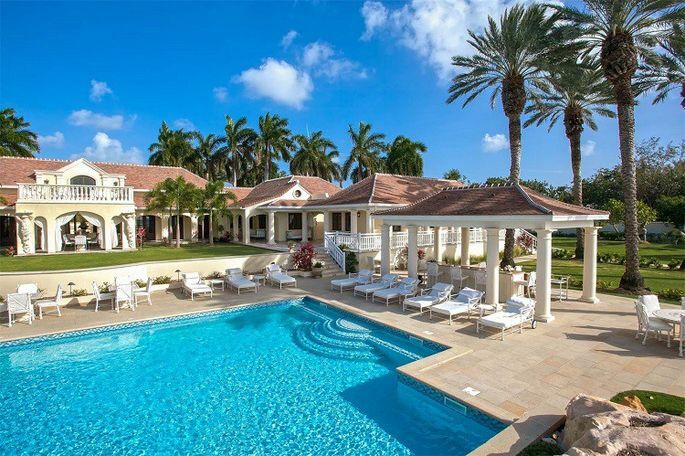 In any case, a multimillion-dollar property like this isn’t likely to get snatched up by a buyer overnight. “It is not uncommon to see properties of this size sitting on the market for a few years,” Longo says. Scroll on to see more of Trump’s palace in paradise. The POTUS could catch some serious ZZZs in this gilded master bedroom complete with a canopy and gold chandelier. When you’re in the mood for a dip in the water, the chateau offers two options: this heated pool or the ocean just steps away.